Upwards of 25 original picture stories added each year. Specifically for 3 to 8 year-olds. Funny stories, stories written in verse, captivating stories, and surprising tales too! 100% original, and available only here. A simple interface. An enriched and engaging reading experience. An interface that fosters reading, free of music, voices or other sounds. Purely inspiring words and compelling images. All stories published in six languages. French, English, Spanish, German, Italian and Portuguese. You can switch languages at any time — perfect for encouraging inquiring young minds to learn new words! Children’s authors from around the globe. Miniminus represents a community of talented authors, whose stories, perspectives, insights and experiences provide a gateway to the world. A membership is only $3/month, and entitles you to our complete catalog of stories. Download the app for free from the App Store or Google Play on your tablet and read the first few pages of each story. Please fill email field with a valid email. If you’re an author and wish to be a part of this adventure, enter here. Miniminus is only available on tablets, not on phones. We work with talented writers and illustrators to produce original stories for children ages 3 to 8. Everyone from aspiring writers to established authors can submit a synopsis or a complete story. If you can create smart, bold, original children stories, we're looking for you. Tell us a bit about yourself and we’ll get in touch with you. An error occured, please contact us. Email has been send to you. No, do not cancel my subscription. Please check Term of use. Take advantage of our limited-time offer and pay only $3/month. Your subscription will be automatically renewed unless you tell us to stop. You can cancel online anytime. The primary purpose of any information we collect is to provide you with a valuable and customized experience through the use of our service. We may store your IP address to help identify technical issues with our service. In able to have full access to all the features of our service a user needs to register and create an account. When creating an account, the user is required to enter basic personal and contact information. Your email address is not displayed publicly, nor is it shared with any third parties. In order for our service to function properly on your computer, you may need to receive "cookies". Cookies are small files which help us to maintain your personalized experience as you navigate through different pages within our site. We do not force you to accept cookies, however rejecting them may prevent many of our features from working properly. We protect your personal information just as vigilantly as we would our own. There are precautions and safety mechanisms in place to prevent loss, misuse or unauthorized alterations of your personal information. The cost of the subscription is billed at the time of the transaction. The subscription is payable each month and will renew automatically, as long as it is not canceled. You can cancel your subscription at any time through Google Play or the iTunes App Store, depending on where your initial subscription came from. You will have access to all stories until the end of the subscription period. In order to bring you the highest quality and most relevant marketing initiatives, certain non-personally identifiable information may be disclosed for use by advertisers. There is NO information passed on to any third party advertiser that could be used to identify you personally. Examples of data that may be disclosed to serve you the most relevant advertisements are: browser type, operating system and geographic region. This information is disclosed only in an aggregate manner (bulk data for demographic information). Through these measures we protect your personal information while still providing you with the best, most personally relevant experience possible. We cooperate with any law enforcement inquiries in to the content of our web site, including any user submitted content. As such you authorize us to, at our sole discretion, disclose personal information to law enforcement agencies as we deem appropriate to comply with the law. You are responsible for protecting your password. If you disclose this information to a third party, you are responsible for all actions taken that were enabled through the use of your log in information and password. You are therefore highly encouraged to NOT disclose your password to any third party, and to change your password if you believe your information may have been compromised. 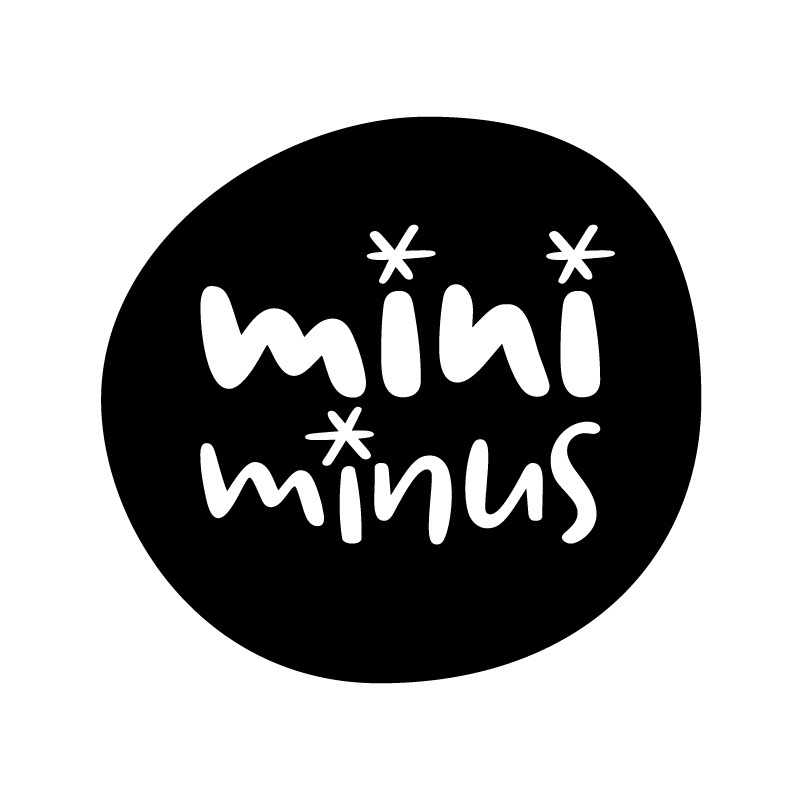 We are Miniminus, a new publishing company of children’s pictures stories, based in Montreal. We’re a startup, 100% digital and 100% original. We aim to do publishing differently, by rethinking the balance between author and reader. Our business model is based on two key principles: membership for readers and profit sharing for authors. We work with creative storytellers (writers and illustrators). We develop original and innovative content. And we distribute the stories through our app, in six languages. Readers enjoy access to this exclusive content by becoming members. And the profits are shared with the writers and illustrators. We are Miniminus, a community of creative talent and the world is our playground. Welcome to the Miniminus platform (hereinafter referred to as the “Platform”) operated by Miniminus Inc. (hereinafter “Miniminus” or “we”). The Platform aims to provide information on the services offered by Miniminus and to allow you to create, organize and manage your profile and consult the children’s stories published on the Platform. The services offered by Miniminus through the Platform are subject to our Sales Conditions, which you will have to accept in order to complete a purchase. You may use the Platform through a mobile device operating on Android, iOS, or any other mobile operating device on which the Platform is made available by Miniminus. Access and use of the Platform by automated means, such as bots or crawlers, is strictly prohibited, except as provided in a written agreement between you and Miniminus. We make no warranty as to the constant availability of the Platform, in whole or in part, and we reserve the right to interrupt access to the Platform for the general public or for one or several users, for any period of time, at our sole discretion. All content available on the Platform, including text, images, drawings, video sequences, audio content, source code and logos is either our exclusive property or is used under appropriate license or permission from the owners, holders or licensees of the applicable rights. We are the exclusive owner of the following trademarks and domain names: Miniminus and miniminus.com. All other trademarks displayed on the Platform are used under appropriate licence and no provision herein shall be interpreted as to concede or grant you or any other person any right whatsoever in said trademarks and domain names. The Platform may contain hyperlinks to other sites owned and operated by third-parties (“Third-Party Sites”). We have no control over Third-Party Sites and disclaim all liability as to the content provided on such sites. Hyperlinks are provided as a courtesy to facilitate browsing and shall not be construed as an endorsement or approval by Miniminus of any Third-Party Site or any content it may render available. We strive to provide the most accurate and up-to-date information possible on the Platform. However, we cannot guarantee that the content of the Platform will at all times be accurate, complete and up-to-date. Information pertaining to the description, price and availability of services offered through the Platform is accurate to the best of our knowledge, but we make no warranty as to the accuracy or exactitude of such information. Where you chose to contact us about improvements to the Platform or to the goods and services offered through the Platform (such communications being hereinafter designated as “Suggestions”), you authorize us to use the Suggestions without restrictions. You hereby assign in our favour all rights, title or interests in and to the Suggestions, irrevocably waive all moral rights you may hold with respect to the Suggestions and undertake to provide the assistance we may seek in order to document, develop and retain our rights, title or interest in and to the Suggestions. You warrant that your Suggestions contain no information that is confidential or proprietary to third parties. You acknowledge that (i) we have no expressed or implied obligation of confidentiality with respect to your Suggestions; (ii) we are authorized to use or disclose (or choose not to use or disclose) your Suggestions for any purpose whatsoever, in any way whatsoever, on any medium whatsoever, anywhere in the world; (iii) we may already have considered or be in the process of developing elements identical or similar to those mentioned in your Suggestions; and (iv) you will not be compensated in any way with regards to our use of the your Suggestions. ALTHOUGH WE STRIVE TO PROVIDE YOU WITH THE BEST SERVICE POSSIBLE AND MAKE REASONNABLE EFFORTS TO ENSURE THAT THE INFORMATION ON THE PLATFORM IS ACCURATE AND RELIABLE, YOUR USE OF THE PLATFORM AND THE GOODS AND SERVICES PROVIDED THROUGH THE PLATFORM ARE PROVIDED “AS IS” AND “AS AVAILABLE” AND THEIR USE IS AT YOUR OWN RISK. TO THE FULL EXTENT PERMITTED UNDER APPLICABLE LAW, WE DISCLAIM ANY EXPRESS OR IMPLIED WARRANTY. MINIMINUS ESPECIALLY DISCLAIMS ANY WARRANTY RELATED TO THE QUALITY, FIABILITY AND VERACITY OF THE INFORMATION AVAILABLE ON ITS PLATFORM. WE DO NOT WARRANT THAT ACCESS TO THE PLATFORM AND THE SERVICES PROVIDED THEREBY WILL BE UNINTERRUPTED AND SECURE AND THAT CONTENT AVAILABLE THROUGH THE PLATFORM WILL BE ERROR-FREE, ACCURATE, COMPLETE AND UP-TO-DATE. WE FURTHER EXTEND NO WARRANTY AS TO THE RESULTS THAT MAY BE OBTAINED BY USING THE PLATFORM, NOR AS TO THE ACCURACY AND RELIABILITY OF INFORMATION OBTAINED THROUGH THE PLATFORM. ALL MATERIAL AND/OR ALL DATA UPLOADED, DOWNLOADED, OR OTHERWISE OBTAINED THROUGH YOUR USE OF THE PLATFORM IS OBTAINED AT YOUR DISCRETION AND AT YOUR OWN RISK. WE DO NOT WARRANT THAT SUCH MATERIAL IS FREE FROM VIRUSES OR ANY OTHER DESTRUCTIVE CODE THAT MAY DAMAGE OR INFECT YOUR ELECTRONIC DEVICES OR OTHER PROPERTY. YOU WILL BE FULLY RESPONSIBLE FOR ANY DAMAGE TO YOUR COMPUTER OR LOSS OF DATA THAT MAY RESULT FROM DOWNLOADING AND/OR UPLOADING SUCH MATERIAL AND/OR DATA. TO THE FULL EXTENT PERMITTED UNDER APPLICABLE LAW, UNDER NO CIRCUMSTANCES WILL MINIMINUS BE LIABLE FOR ANY DAMAGES, WHETHER DIRECT, INDIRECT, PUNITIVE, INCIDENTAL, SPECIAL, CONSEQUENTIAL OR OF ANY KIND WHATSOEVER, INCLUDING, WITHOUT LIMITATION, DAMAGES FOR LOSS OF DATA OR PROFITS ARISING OUT OF THE USE OR PERFORMANCE OF THE PLATFORM, THE INABILITY TO USE THE PLATFORM OR THE SERVICES PROVIDED THROUGH THE PLATFORM WHETHER SUCH LIABILITY IS BASED ON A CONTRACT, TORT, NEGLIGENCE, STRICT LIABILITY OR OTHERWISE, EVEN IF WE HAVE BEEN MADE AWARE OF THE POSSIBILITY OF DAMAGES. IF YOU ARE DISSATISFIED WITH ANY SECTION OF THE PLATFORM, OR ANY PORTION OF THESE TERMS AND CONDITIONS, YOUR SOLE AND EXCLUSIVE REMEDY IS TO STOP USING THE PLATFORM. Miniminus promotes electronic communications. The best way to contact us is to visit the “Contact” section of the Platform. Your email has been sent. Thank you for your interest in Miniminus.